Driving lessons in Leicester contact us for driving training**1'st 4 driving lessons from £7.50 each**Leicester,Hinckley,Loughborough,Leicestershire,Coalville,Lutterworth,Hinckley,Leicester,Leicestershire.Driving lessons driving lessons driving lessons driving lessons. frequently asked question on access driving lessons. **1'st 4 driving lessons from £7.50 each**Leicester,Hinckley,Loughborough,Leicestershire,Coalville,Lutterworth,Hinckley,Leicester,Leicestershire.Driving lessons driving lessons driving lessons driving lessons. train with access driving tuition as a driving instructor**1'st 4 driving lessons from £7.50 each**Leicester,Hinckley,Loughborough,Leicestershire,Coalville,Lutterworth,Hinckley,Leicester,Leicestershire.Driving lessons driving lessons driving lessons driving lessons. practical driving test **1'st 4 driving lessons from £7.50 each**Leicester,Hinckley,Loughborough,Leicestershire,Coalville,Lutterworth,Hinckley,Leicester,Leicestershire.Driving lessons driving lessons driving lessons driving lessons. pass your driving theory test **1'st 4 driving lessons from £7.50 each**Leicester,Hinckley,Loughborough,Leicestershire,Coalville,Lutterworth,Hinckley,Leicester,Leicestershire.Driving lessons driving lessons driving lessons driving lessons. advanced driving lessons and training **1'st 4 driving lessons from £7.50 each**Leicester,Hinckley,Loughborough,Leicestershire,Coalville,Lutterworth,Hinckley,Leicester,Leicestershire.Driving lessons driving lessons driving lessons driving lessons. 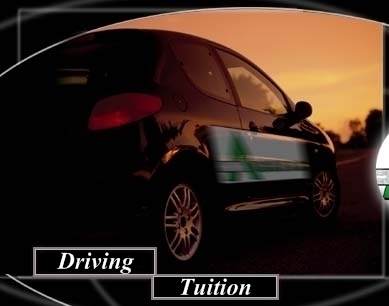 booking form for driving tuition **1'st 4 driving lessons from £7.50 each**Leicester,Hinckley,Loughborough,Leicestershire,Coalville,Lutterworth,Hinckley,Leicester,Leicestershire.Driving lessons driving lessons driving lessons driving lessons. Access Driving Tuition was established over 7 years ago and now with the pooled resources of over 115 years of teaching people to drive. **1'st 4 driving lessons from £7.50 each**Leicester,Hinckley,Loughborough,Leicestershire,Coalville,Lutterworth,Hinckley,Leicester,Leicestershire.Driving lessons driving lessons driving lessons driving lessons. contact us for driving training **1'st 4 driving lessons from £7.50 each**Leicester,Hinckley,Loughborough,Leicestershire,Coalville,Lutterworth,Hinckley,Leicester,Leicestershire.Driving lessons driving lessons driving lessons driving lessons. frequently asked question on access driving tuition. **1'st 4 driving lessons from £7.50 each**Leicester,Hinckley,Loughborough,Leicestershire,Coalville,Lutterworth,Hinckley,Leicester,Leicestershire.Driving lessons driving lessons driving lessons drivinglessons. train with access driving tuition as a driving instructor **1'st 4 driving lessons from £7.50 each**Leicester,Hinckley,Loughborough,Leicestershire,Coalville,Lutterworth,Hinckley,Leicester,Leicestershire.Driving lessons driving lessons driving lessons drivinglessons. practical driving test **1'st 4 driving lessons from £7.50 each**Leicester,Hinckley,Loughborough,Leicestershire,Coalville,Lutterworth,Hinckley,Leicester,Leicestershire.Driving lessons driving lessons driving lessons drivinglessons. pass your driving theory test**1'st 4 driving lessons from £7.50 each**Leicester,Hinckley,Loughborough,Leicestershire,Coalville,Lutterworth,Hinckley,Leicester,Leicestershire.Driving lessons driving lessons driving lessons driving lessons.